Today I finally get to try out beauty line that I've had my eye on for a while. I'm sure many of you are familiar with LA Splash Cosmetics. 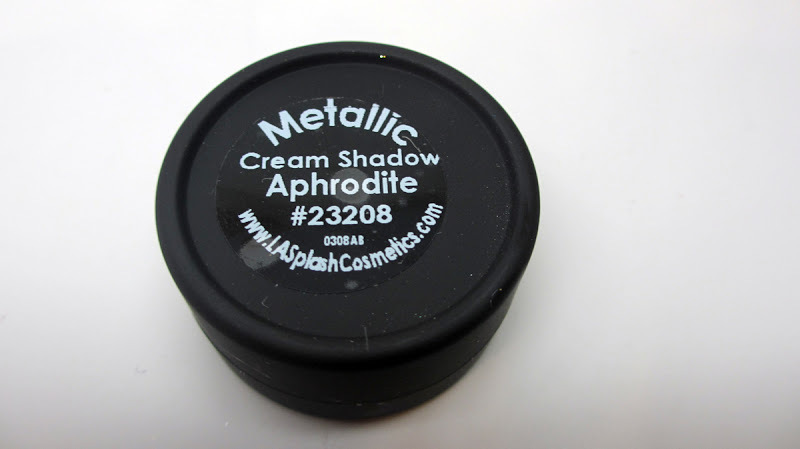 Their primer is super popular for using with glitter. 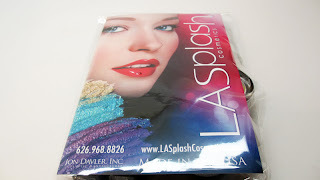 Anywho, I got a chance to try out some of their products and I've got pics, swatches a review for you all. Check it out! LASplash sent me a nice range of products to test out including a mascara, gloss, liner, cream shadow and pigment. 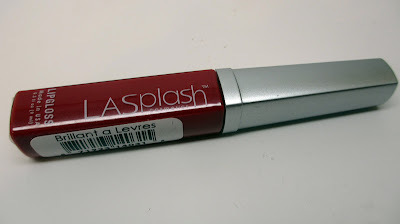 I was super surprised at how pigmented this red lipgloss is. It's like a liquid lipstick with patent shine. 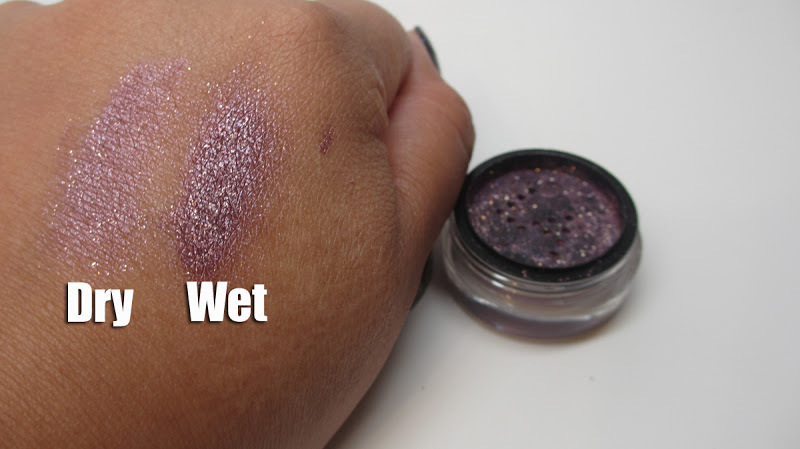 I'd even compare the serious pigmentation to the OCC lip tars except this one stays glossy and doesn't dry out your lips. 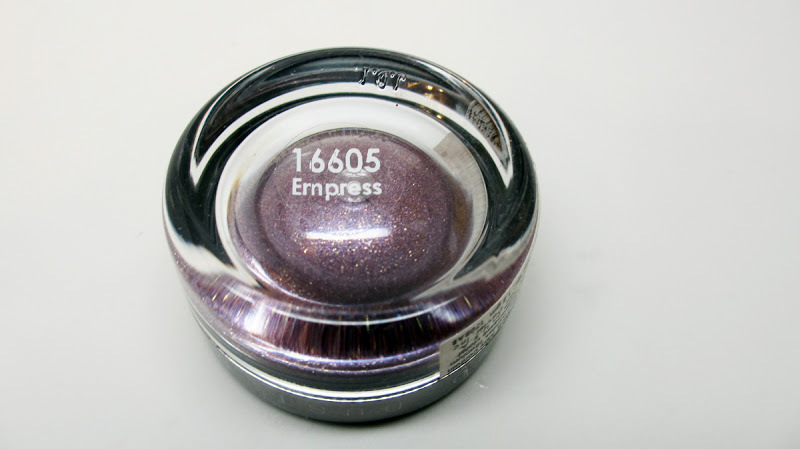 This muti-tonal purple shimmer is gorgeous! 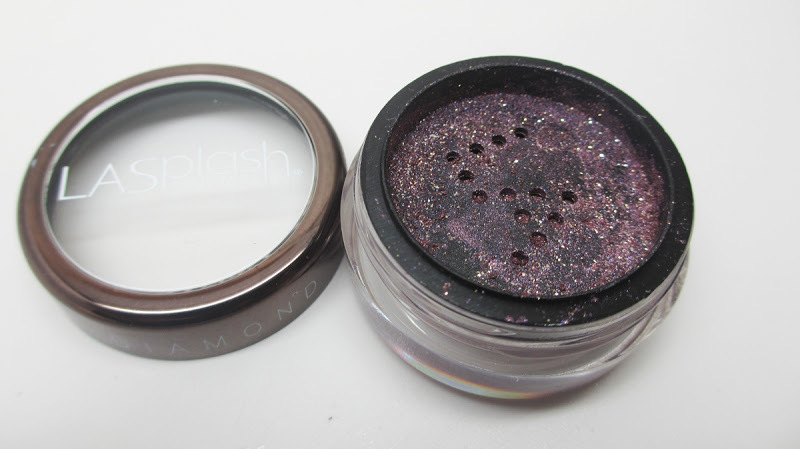 You can pop it on top of a shadow dry for some shimmer or apply it wet for full out glitter glam. 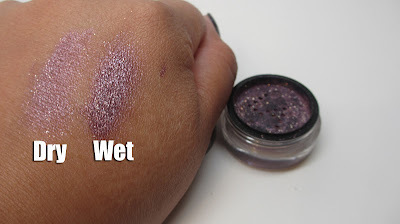 I adore this shade. I love the gold glitter on top of the violet base, it's super glam but still wearable at the same time. 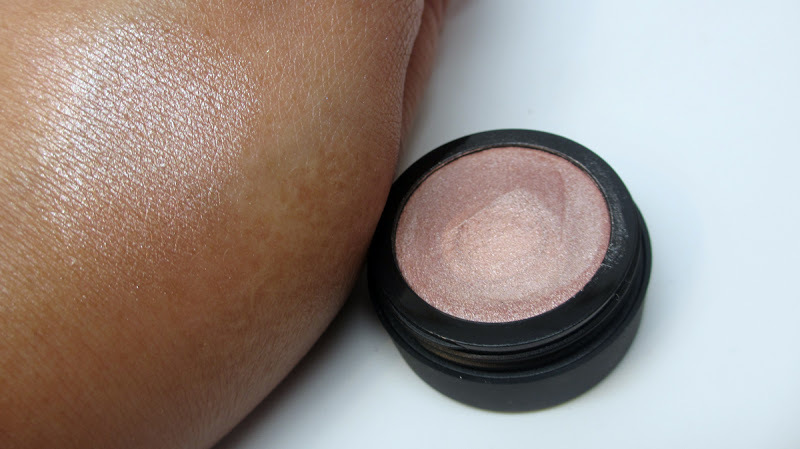 This cream shadow is a great neutral base. I like using it under eye shadows for more pop. It applies very easily and i'd describe the shade as a sheer champagney mauve. 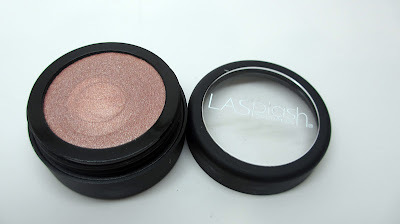 The texture is lightweight and I think it might even look pretty as a cheek highlight on top of blush. 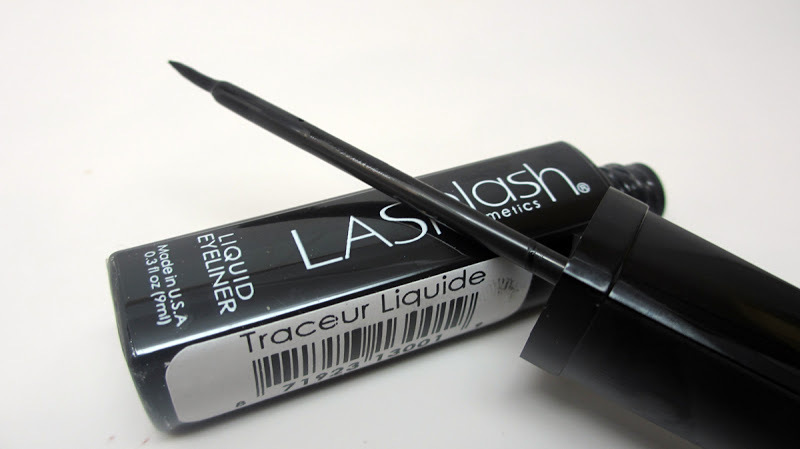 The liquid liner is just like the gloss - intense patent leather shine. It is super pigmented but I do have a problem with it taking a while to dry. Because of my monolids, it tends to touch other parts of my lid. Be careful to let it dry before opening your eye - otherwise you'll get some smudging. 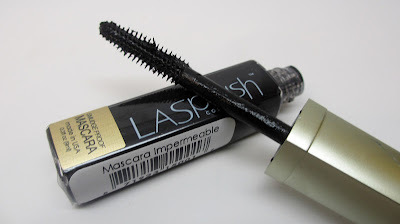 Black Mascara - This is a unique packaging for mascara - it matches their lipglosses and liners, but hey it works. The brush would be great for catching even the tiniest lashes. I find that it's best with my lower lashes. 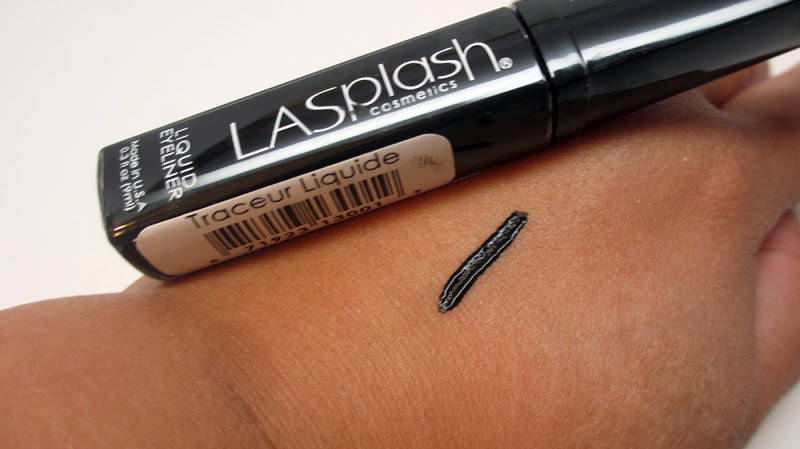 It's a nice wet consistency but didn't do as much for my top lashes. 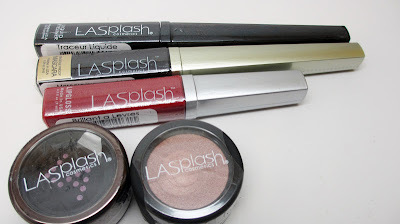 Have you guys ever tried out LASplash Cosmetics? Let me know in the comments below! Ohh the cream shadow is divine! I never heard of this brand! Lol, seriously. 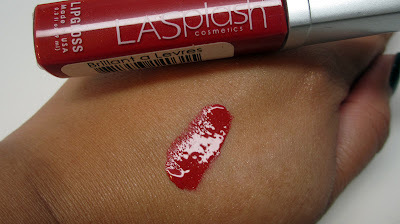 Where can I purchase their products because I like the red gloss/ lipstick?